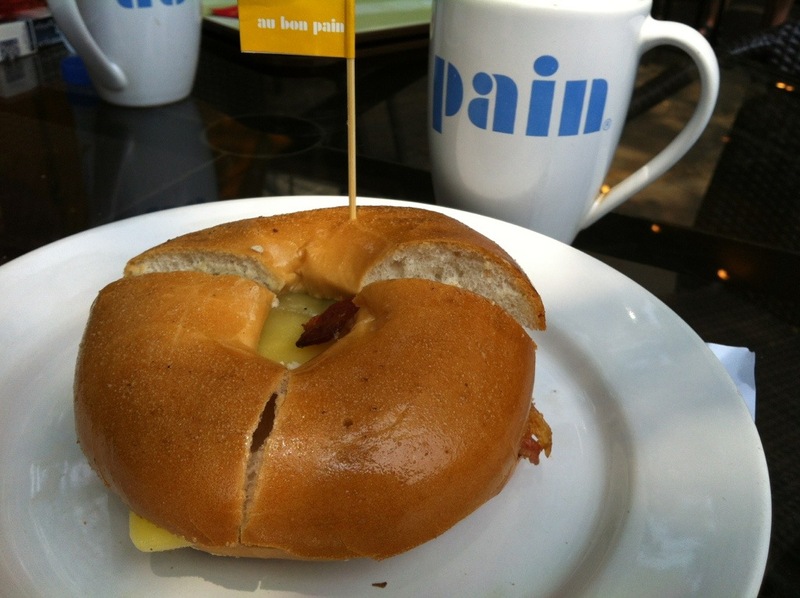 One of our favourite breakfast spots is Au Bon Pan – there are several across the city (one even IN a hospital) and we went to the one in Thong Lor which has a lovely outside area and open-style mall. The Breakfast Bagel is hard to resist. 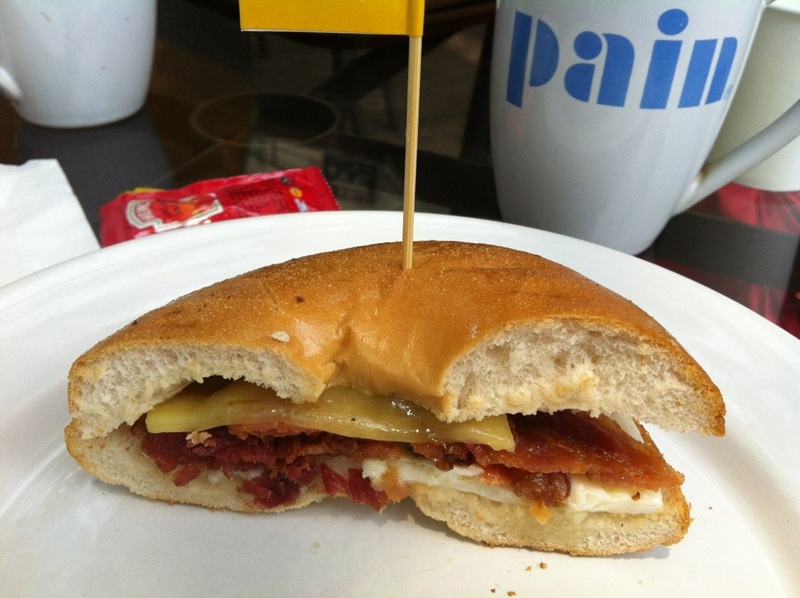 Egg, crispy bacon and a slice of melted cheese on a hot fresh bagel. YUM-A-LICIOUS!! !